Salon on Main would be honored to make you feel as beautiful as possible on your big day. To make sure your special day runs as smooth and efficiently as possible, we prep your glam time before hand. Our staff prepares a breakfast or brunch bar for our in house weddings, or can help find a caterer suited for your bridal party for on location weddings! 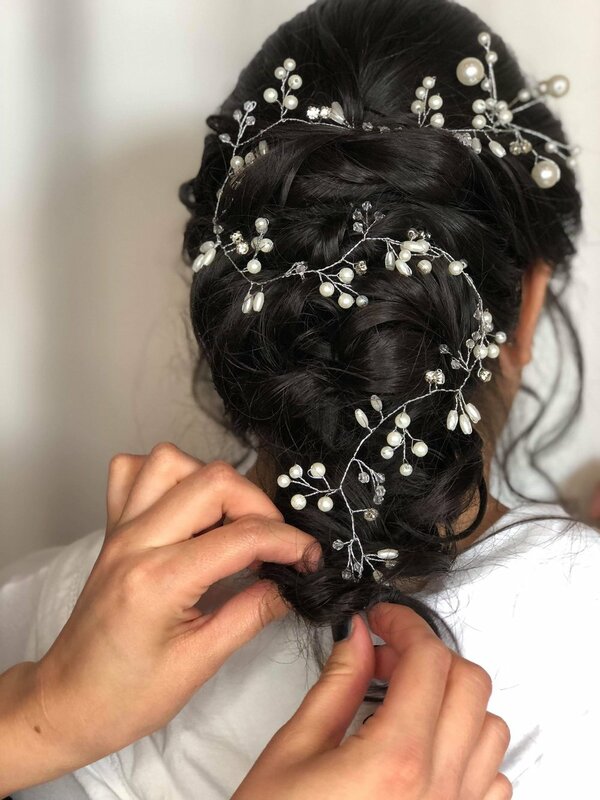 We schedule your bridal party with an amazing team of stylists. And we know you’ll be so excited for pictures that you will be running out the door. To help resolve the budget and scheduling stress of wedding day plans, we make sure to invoice you before your day. No surprises. No Stress. Just Love and Family. We hope to share all of the love and excitement with you on your big day. Enjoy a complementary 2 week refill when getting eyelash extensions for your big day. This offer is extended to those in your bridal party. 2 week refill must be done within 14 days of full set application. Travel Fee Not Included. Travel Fee Will Be Quoted In Estimate.